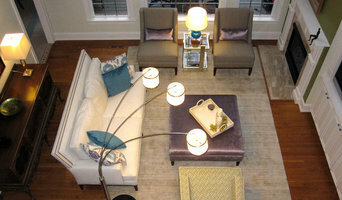 CK Home Design Group is a full service interior design company based in Durham, NC. Coming from Europe, Maria Coleman and Virginia Kline bring a unique & individual approach to each project. Be it for your home or business, Carrie Moore Interior Design would like to get to know you and help you with all your interior design needs! M.L. 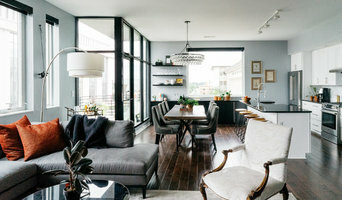 Designs consists of a team of highly experienced design professionals that pride themselves on their ability to tailor their services to each client's unique lifestyle needs. Mindful Home Interiors provides intentional decor and redesign, staging, and small event design planning services. Our services prioritize your vision and budget while creating beautiful environments that reflect YOU. At Mindful Home Interiors we create solutions, while also combining design, texture, and energy to tell your story and create sanctuary. I am the blessed mommy to three gorgeous girls, still madly in love with my high school honey, and Jesus has my heart. I would classify myself as a "constant design observer". I love hunting the flea, antiques, bold prints, and have an obsession with wallpaper and rugs. 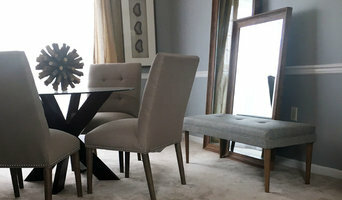 Lillie creates spaces that serve each client's needs with functionality and elegance. She believes good communication and professionalism throughout a project is the key to helping meet their design goals. Each of her clients is given personalized solutions to their design needs in order to transform their home into a mindful and harmonious space. Lillie Vaughan is a residential interior designer who holds a BA Degree in Interior Design. Modern Mondays is a local family owned business specializing in home and small business improvement as well as event and planning. Interior Design services from new to infill projects. Daily Beauty started as a fun way to watermark my photographs (check out #dailybeauty). The name grew out of a desire to challenge myself to notice something beautiful everyday. As a stay at home mom for several years, life was hectic yet monotonous. By making myself stop to take note of the things I found beautiful daily, I was able to slow down, spend time on my creative side, share with others, and find gratitude in my surroundings - especially with those two little boys at home! This philosophy and my interest in interior design now flow together nicely. My goal is for you to experience Daily Beauty also. Let's start with your own home. How can we make this happen for you? 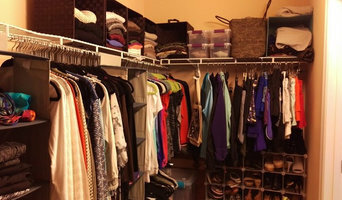 Whether it is one corner, or an entire room, let's discover a way for you to find joy there.